It's that time of year when confirmation educators are looking for some way to show that the years spent every Wednesday have been faith building. It's not an easy thing to do because we can't really tell when faith grows and let's be honest, we're talking about 13-14 year old kids whose brains aren't fully developed yet. So, why do we do culminating projects like having kids write a reflective essay about what they believe? Because the only way to know what they believe is for them to tell us. My overarching question when teaching kids and religion and faith is this, "What do you believe and why do you believe it?" If they can answer that in their own words, then they will feel more comfortable talking about it. 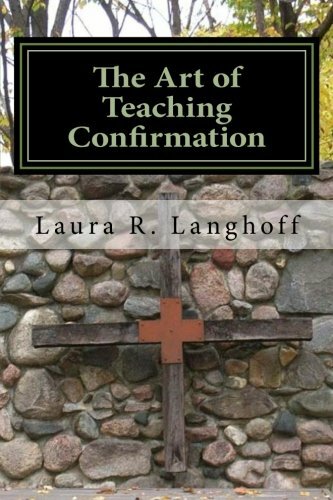 Until we make a change in how and when we teach confirmation, we should know the best way to teach middle school aged students and how to help them share with us what they're thinking and what they believe. One way is to have them write a reflective essay. I posted on this before and also put it in my book, The Art of Teaching Confirmation, but I added a worksheet to help kids organize their thoughts on paper. Here are two resources that will help. I pray they provide some guidance to your students in this area.